Attorney Laurie Poole joined ADAMS | STIRLING as managing partner of the firm’s San Diego and Carlsbad offices. Laurie is a fellow of the College of Community Association Lawyers and brings 25 years of experience advising community association boards of directors. Ms. Poole is a significant addition to our team of talented attorneys.Laurie is an active volunteer for the Community Associations Institute (CAI) and the California Association of Community Managers (CACM). She is currently a member of the Board of Directors of the San Diego chapter of CAI, having served as its President. Ms. Poole is also a member of CCAL’s Amicus Review Committee and devotes time to shaping the laws governing California’s community associations. Laurie has already had a significant impact in our courts of appeal. Ms. Poole was appellate counsel in Quail Lakes v. Kozina (2012), trial and appellate counsel in Mission Shores v. Phiel (2008), and trial counsel in Fourth La Costa v. Seith (2008). Through her efforts, nine appellate decisions have become published case law in California. Prominent real estate attorney William Mayer has been appointed chief operating officer and chief legal officer for Sudberry Properties. He will be responsible for day-to-day operations of the real estate development firm, which has developed approximately 10 million square feet of urban retail, multi-family residential, mixed-use and town centers, as well as the urban village of Civita. Previously, for more than 14 years, Mayer was the vice president and general counsel for D.R. Horton’s West Region, consisting of 10 divisions in seven states with more than 2,000 full-time employees. Mayer was one of the first attorneys at D.R. Horton, which became the largest homebuilding firm homebuilder in the country. Mayer has served as a member of the board of trustees of the San Diego Museum of Man since 2009, including two terms as chair. He is currently serving as general counsel. Earlier, he was a partner at Duke Gerstel Shearer, LLP, a San Diego law firm specializing in real estate, construction and business law, and principal at The Law Offices of William Mayer. Sullivan Hill Lewin Rez & Engel is pleased to announce that James Hill, Donald Rez, and Candace Carroll have been selected as 2018 Super Lawyers, and Catherine Hanna-Blentzas, Erin Kennedy Clancy, Ashley Kerins, Shailendra (Shay) Kulkarni, and Kathryn (Millerick) Healy have been named 2018 Rising Stars.Each year no more than 5 percent of the lawyers in the state are selected to receive the honor of being included in the Super Lawyers list and no more than 2.5 percent of the lawyers are selected to the Rising Stars list. Balestreri Potocki & Holmes is pleased to announce that Thomas A. Balestreri, Jr., Joseph P. Potocki and Karen A. Holmes have been selected as 2018 Super Lawyers. Balestreri has been selected to the Super Lawyers list in the areas of Construction Litigation and Real Estate. His professional awards and honors include the Top San Diego Lawyers, Construction, San Diego Daily Transcript, and San Diego Super Lawyers. Selected as a Super Lawyer in the area of Construction Litigation, Potocki’s extensive litigation experience involves high-value disputes relating to a wide variety of issues in the real estate, business and construction arenas. His professional awards and honors include the Top 25 Attorneys in Construction and Real Estate Law, San Diego Daily Transcript, and San Diego Super Lawyers.Holmes has been selected to the Super Lawyers list in the areas of Construction Litigation, Civil Litigation, and Personal Injury-General. Holmes is a successful litigator and trial attorney specializing in professional liability defense and civil litigation. She is the recipient of many professional awards and honors including being named a San Diego Super Lawyer since 2007. Tyson & Mendes has launched a new practice group dedicated to the defense of insurers and manufacturers of autonomous vehicles. The Autonomous Vehicles Liability Litigation practice group, led by Managing Partner Robert Tyson and Partner Cayce Greiner, provides clients with the firm’s deep automotive liability litigation experience and knowledge about the ever-changing regulation and legislation arising in response to more autonomous vehicles on the road.Through its automotive liability litigation experience, Tyson & Mendes has represented manufacturers, dealers, trucking companies, national automobile and trucking rental companies, and other transportation and corporate clients. The firm has been involved in the investigation and defense of fraudulent automobile insurance claims and has provided defense for the insureds of several leading international insurance companies.Additionally, Tyson & Mendes specializes in “damages only” cases related to automotive liability and autonomous vehicles. Defended cases have included admitted liability wrongful death matters and catastrophic injury with multi-million-dollar demands against some of the foremost plaintiffs’ attorneys in the country. Douglas W. Grinnell, Shareholder and co-founder of Epsten Grinnell & Howell, APC (“EG&H”) has announced that he will be retiring effective May 11, 2018. Doug has been an active trial attorney since 1979 and partnered with Jon Epsten in 1984 to begin what is today Epsten Grinnell & Howell, APC. 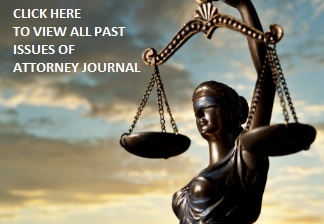 Since that time, Doug has been responsible for numerous multi-million-dollar jury verdicts and settlements, has handled hundreds of construction defect cases in California, and, in 1996, received the Outstanding Trial Lawyer Award.Although Jon Epsten, EG&H founder, and Susan Hawks McClintic, Co-Managing Shareholder, see Doug’s retirement as “the end of an era,” they are proud to work with the finest community association lawyers in Southern California and will continue offering the best in innovative, practical and efficient legal counsel to community associations. Supported by the firm’s attorneys and their unique, multidisciplinary skills, Epsten Grinnell & Howell, APC and its attorneys remain actively involved in California community association industry organizations and are proud to support and contribute to many legislation action committees.